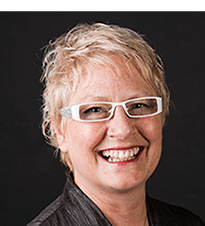 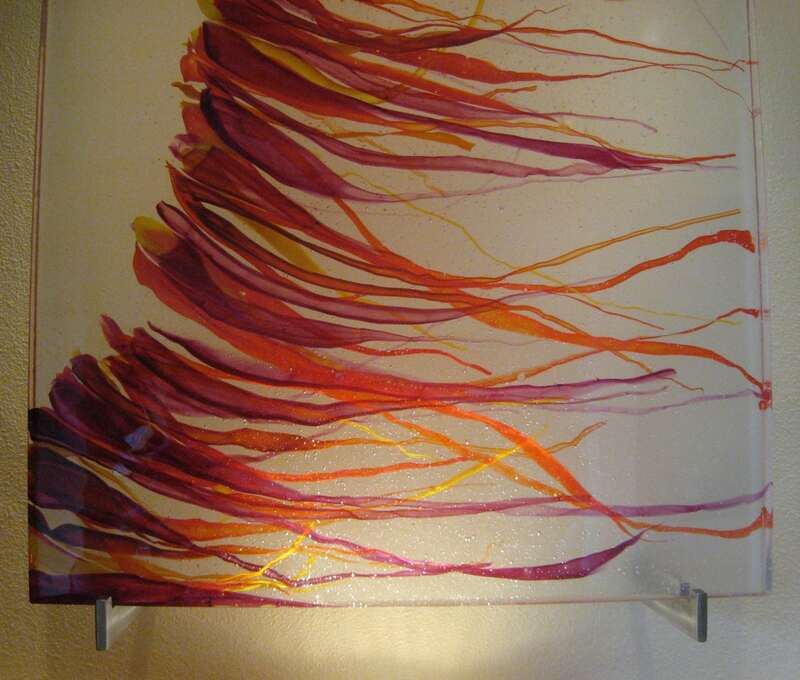 I have always been enamored with glass art and enjoyed glass blowing and glass casting for many years before turning to interior design. 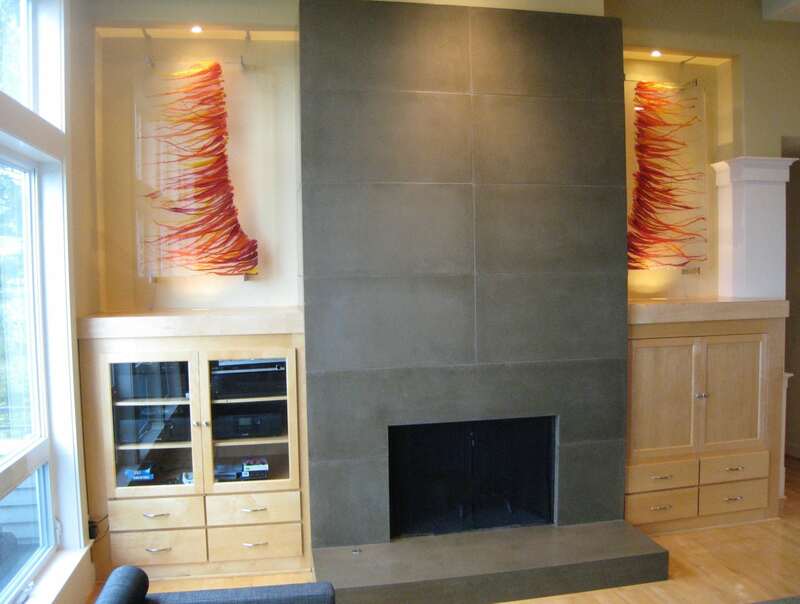 From time to time, I get an opportunity to create art for my clients. 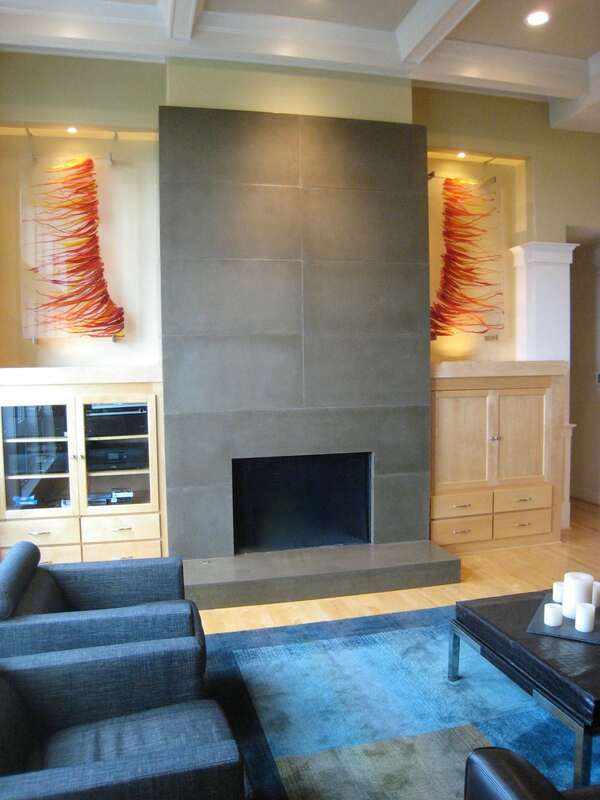 For this client we wanted large companion pieces to flank either side of the massive concrete fireplace. 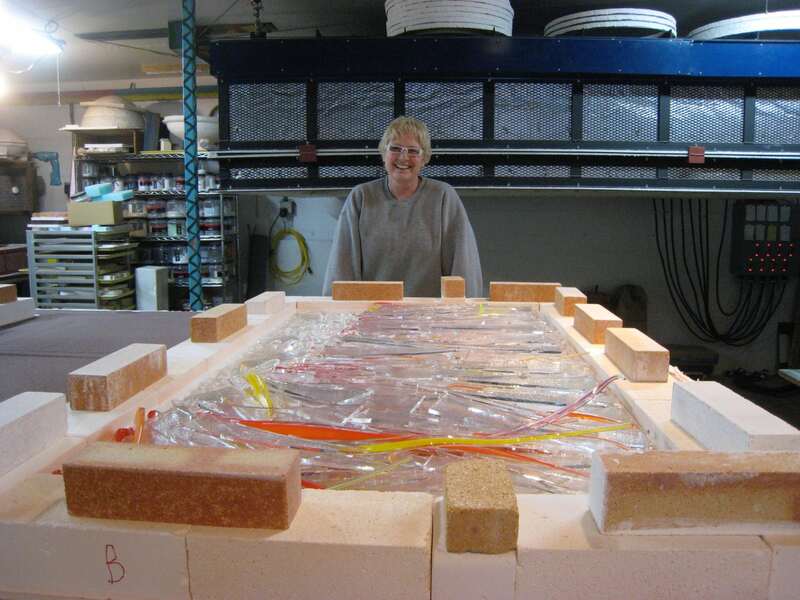 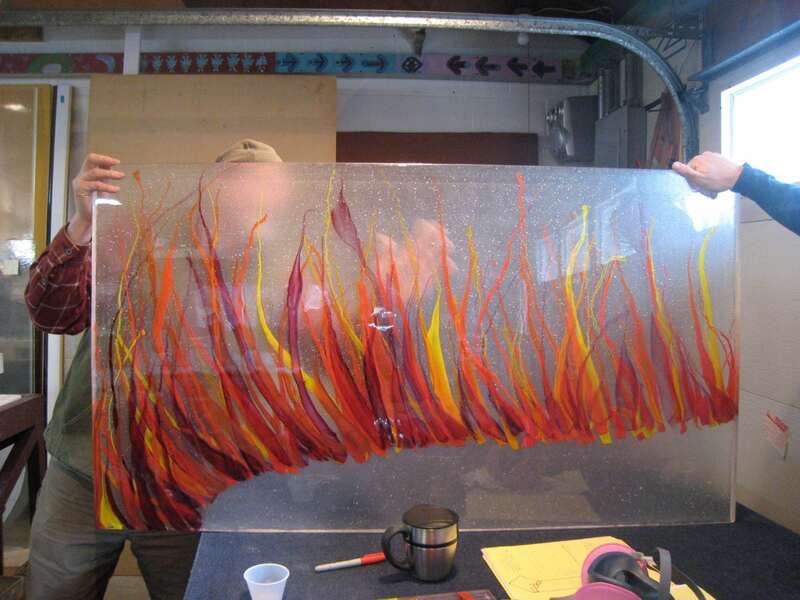 I designed glass panels and worked with Ray Ahlgren of Fireart Glass in Portland, Oregon to execute the design. 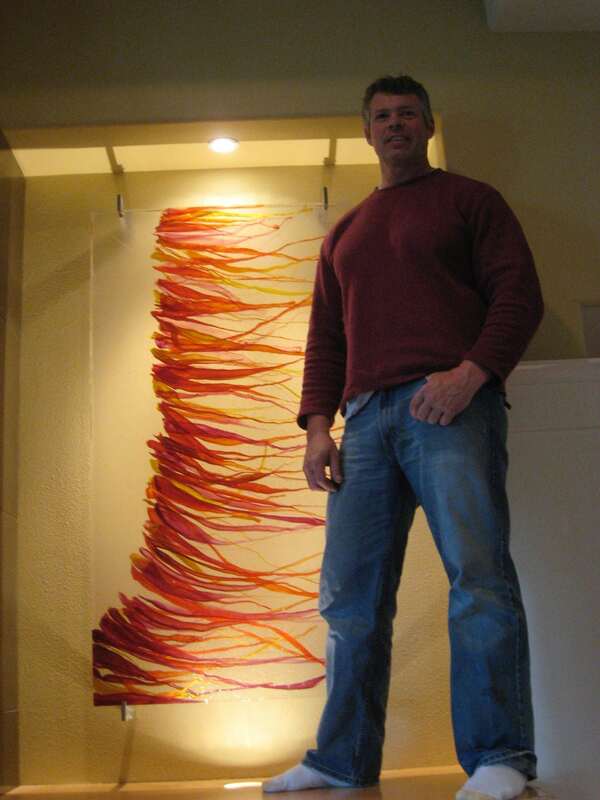 Each panel is 30″ wide, 54″ tall, 1-1/2″ thick, and weighs 220 pounds. 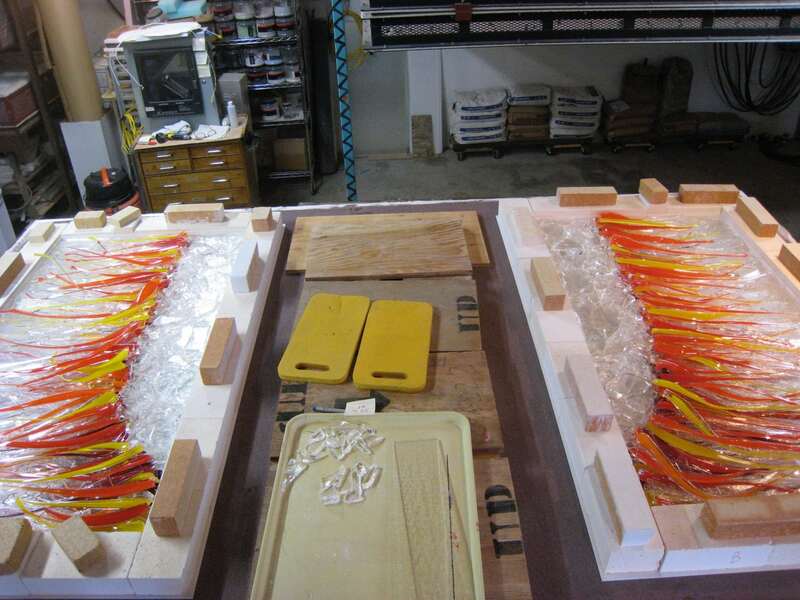 The process was a lengthy one. 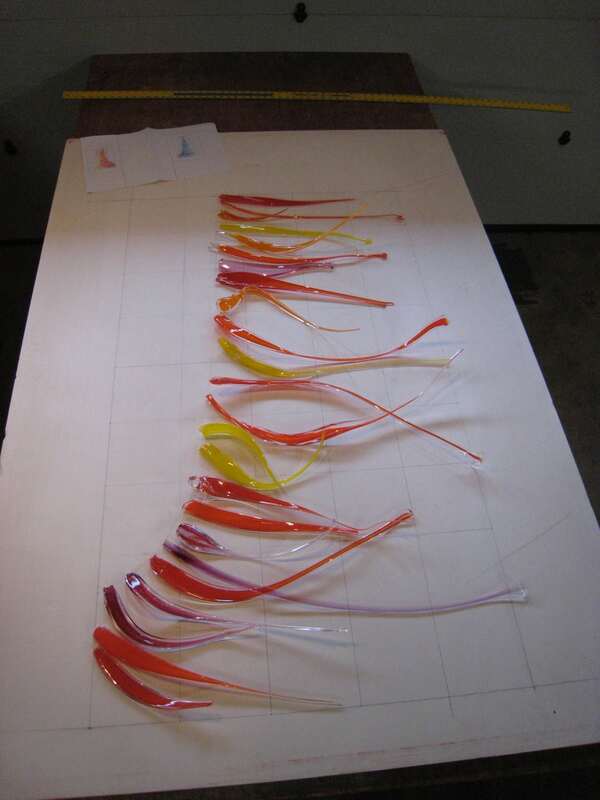 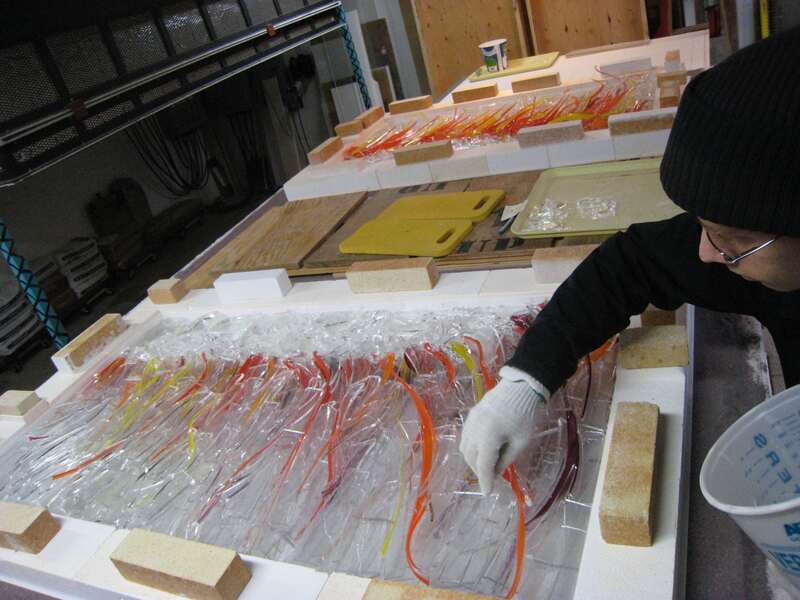 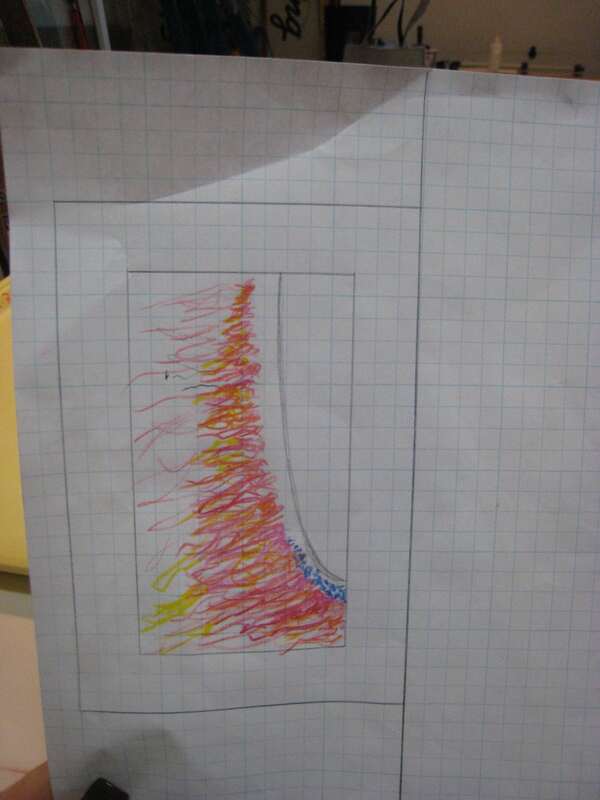 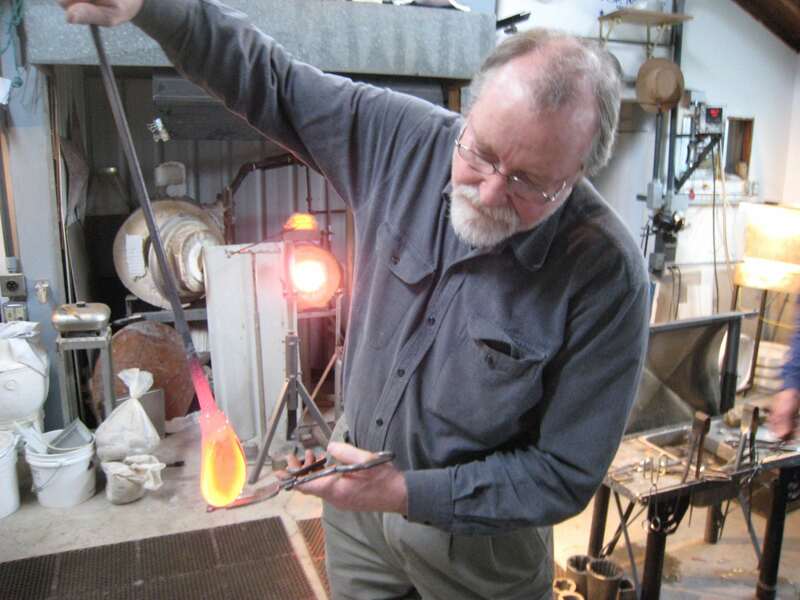 After creating a design and basic sketch to scale, we began work in a glass blowing studio creating the colored strands by heating colored glass, coating it with clear glass and then stretching them into the sweeping shape desired. 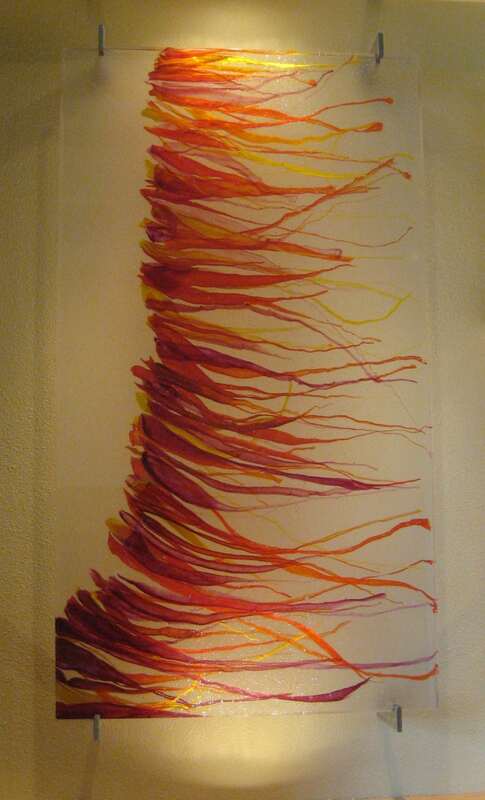 Dozens of these strands in multiple colors were made. 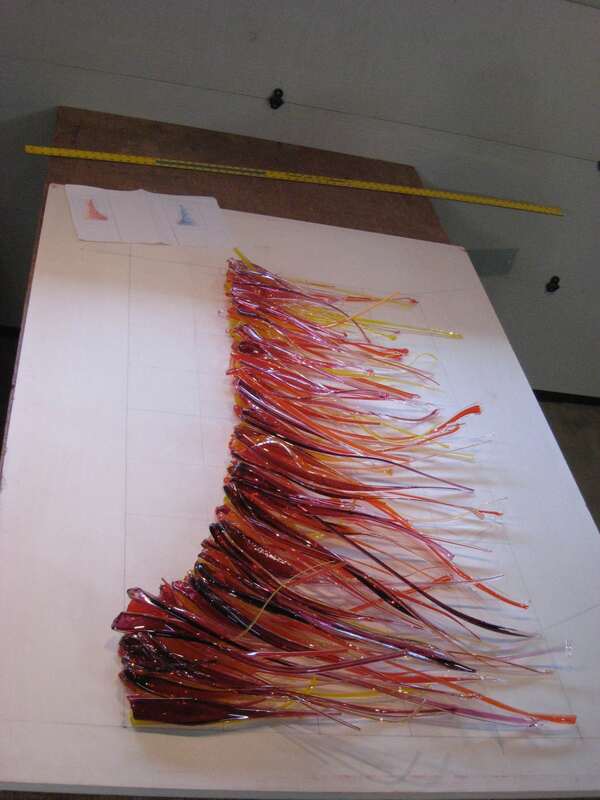 Then I began laying out the strands on a full size pattern to see how it would look and adjust the layout. 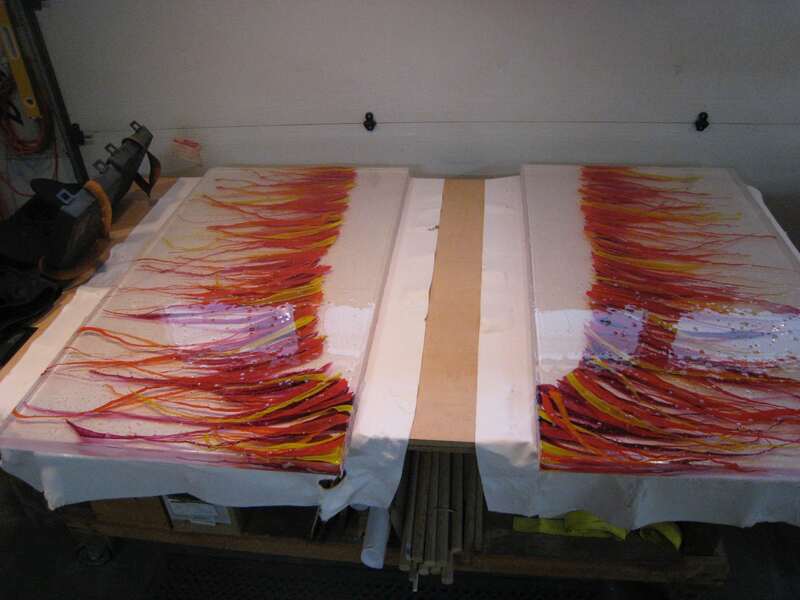 Both panels were laid out right side up, then reversed face down for the firing process. 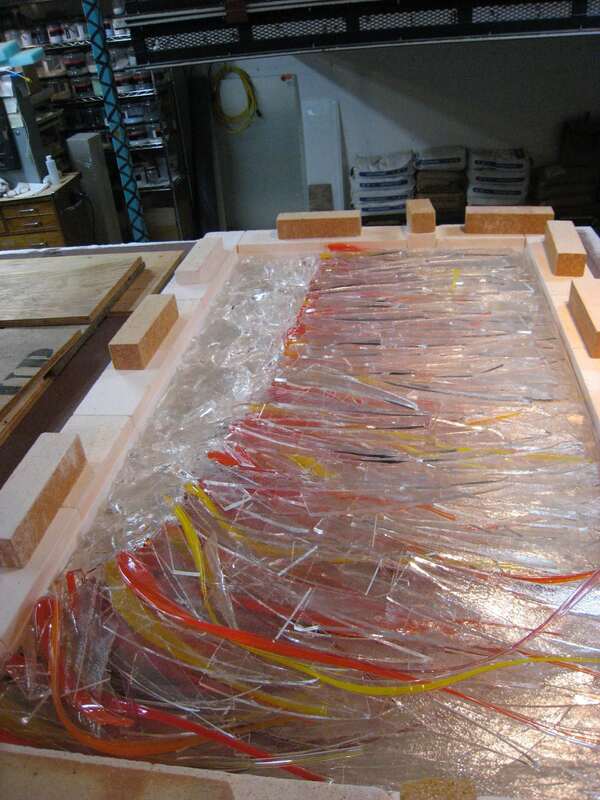 Once the colored strands were laid out, we began interweaving clear glass pieces throughout for separation so that the colored strands would appear to float. 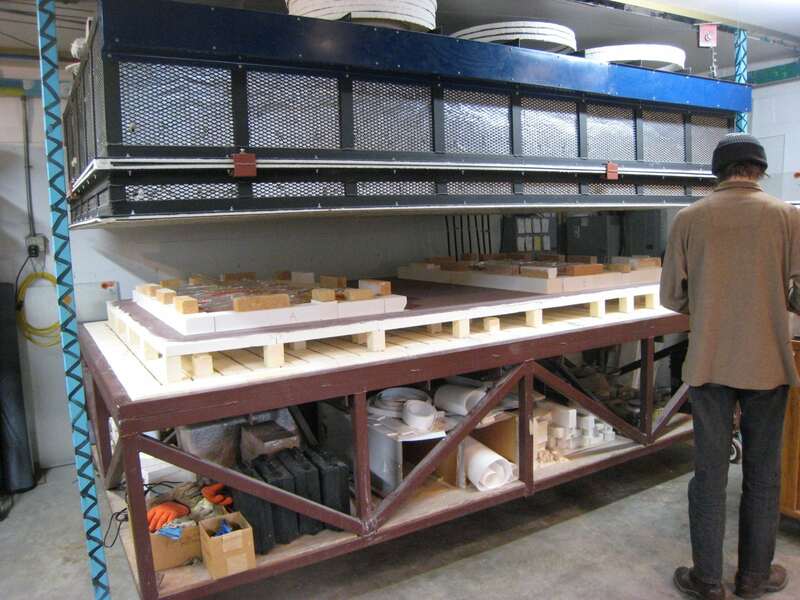 Both panels were then put into a giant kiln and fired face down first so that all bubbles would rise toward the back of the pieces. 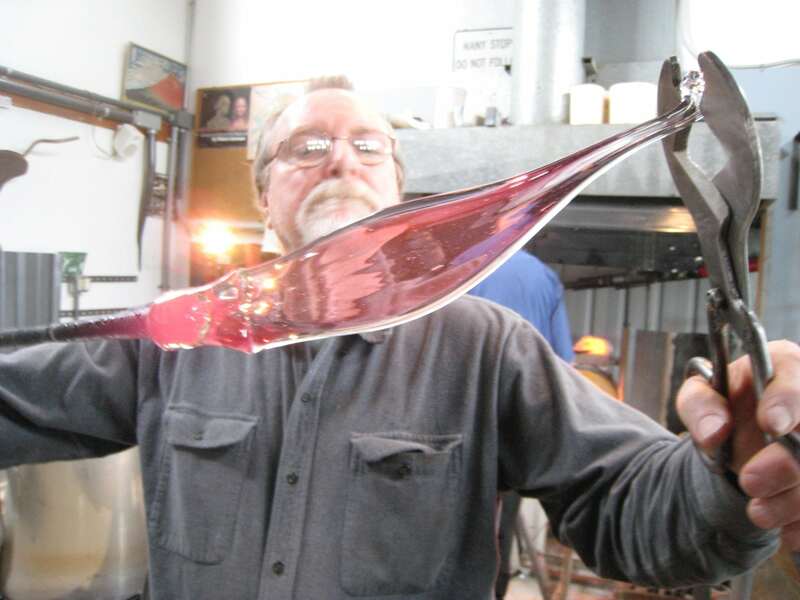 Then they were flipped over and fired face up just enough so that the front of the glass would be perfectly smoothed. 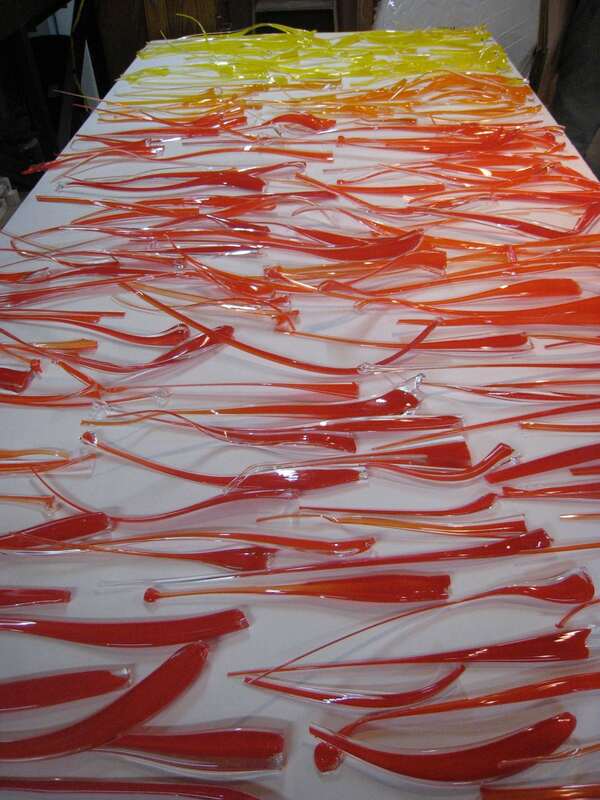 The edges were then ground and polished. 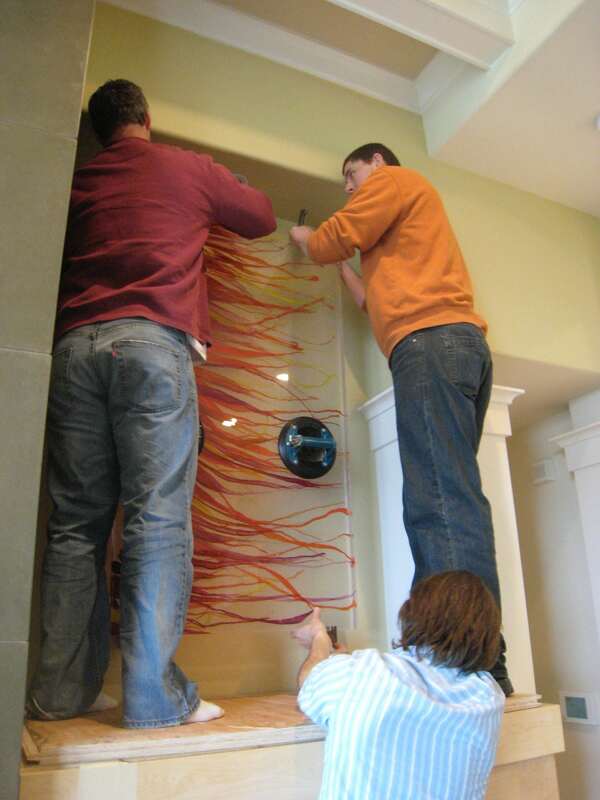 A custom welded holder for the panels was mounted above each niche. 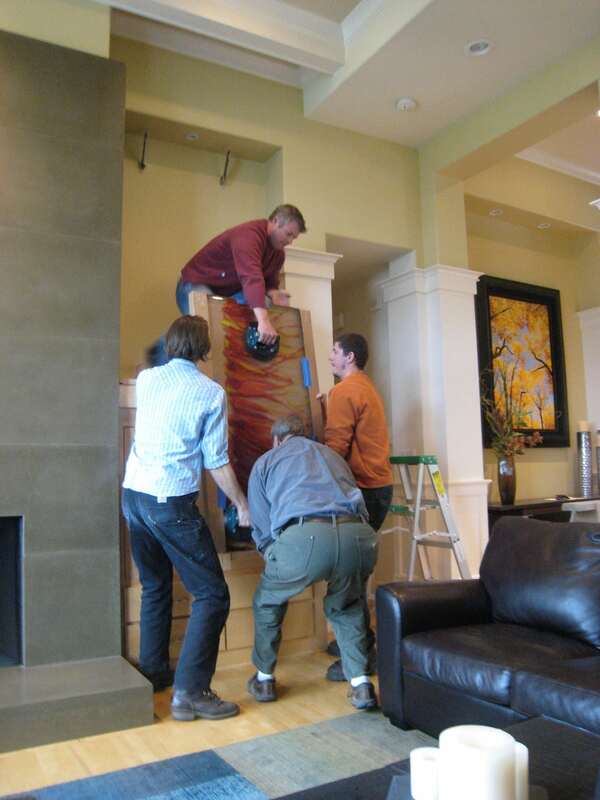 As you can see, it took four men to left the piece into place and safely set them into their holders.